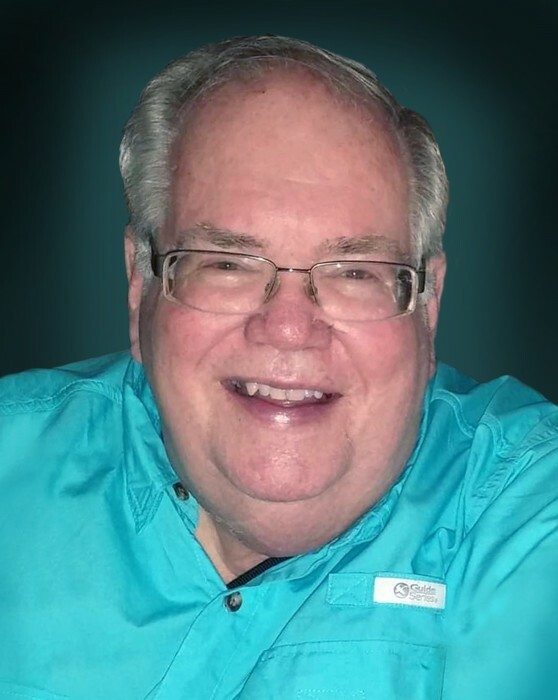 Christopher Ray Brickley, 75, passed away on January 9, 2019 at Physicians Regional Hospital in Naples, FL. Chris was born on May 29, 1943 in Russell, KS where he was raised, graduating from Russell High School in 1961. He then attended the University of Kansas, Eldorado Junior College, and Fort Hays State University. After college Chris returned to Russell and worked for the US Postal Service, then began a radio broadcasting career with KRSL Radio. With his career established, he married Jeanne Berkey of Russell in 1968 and moved with his new bride to Larned, KS where he was employed with KANS Radio as a popular on-air personality, program manager, and play-by-play broadcaster of high school sporting events. Then, after 18 years in broadcasting, Chris spent five years as lead operator at the Larned Municipal Power Plant. A love of the mountains then drew them to Colorado where Chris enjoyed employment as a bank courier and Jeanne worked in banking. After her banking career Jeanne was employed with Promise Keepers, which allowed her and Chris to travel to nearly every state of the continental US. Then a new opportunity led Chris and Jeanne to work as a management team for a high-rise apartment building near downtown Denver. In November 2018, after a period of semi-retirement for Chris, they both retired and moved to Naples, FL. Once settled in their new tropical city, Chris and Jeanne attended Capri Christian Church in Naples and especially enjoyed the recent Christmas Eve candlelight service. Throughout his lifetime Chris enjoyed his hobbies, including his hi-fi stereo & music collection, and was very knowledgeable about music & artists. As a young adult he loved his numerous muscle cars including several new Oldsmobile 442’s, two new Dodge Chargers, two GTOs, and later a Corvette convertible. He was also an avid World War I & II history buff and enjoyed photography, model railroading, model rocketry, and astronomy. Over 20 years ago, Chris thoroughly enjoyed the Left Behind recordings by Tim LaHaye and Jerry Jenkins; this changed his life and he often spoke of it as recently as New Years Day. He believed that there is a wonderful life in heaven after death, and now has gone to his forever home with Jesus. Chris was preceded in death by his parents, Elvin and Zelphia (Tate) Brickley. He will always be lovingly remembered by his wife Jeanne of 50 years and his other survivors including brothers-in-law Gayle (Karen) Berkey of Littleton, CO and Frederic (Jewel) Berkey of Watkins, CO; sister-in-law Debbie (Steve) Fields of Naples, FL; five nieces and nephews; and numerous cousins. A memorial service will be held in Russell and is tentatively planned for Wednesday, May 29, 2019, with Rev. Art Wagner, III officiating.